3 Locations in Northeast Indiana to choose from in Fort Wayne Indiana, and Warsaw Indiana. The AAC is very excited to announce our New Patient Portal! Communicate, Request Appointments, View Lab Results, Request Refills or Make Payments Online! This site requires the Flash Player. "Imagine running in the park without stopping to catch your breath. Or playing a round of golf without rubbing your itchy, watery eyes. Or actually enjoying a day at the lake with your friends and family without headaches. If physical activities seem out of reach and pollen counts dictate when you leave the house, you’re not controlling your allergies, they’re controlling you. 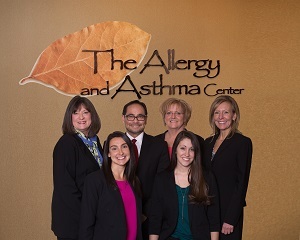 That’s where Dr. William Smits and The Allergy and Asthma Center can help. Use this flash video player to hear what real patients have to say about the care they received at The Allergy & Asthma Center.